I love going to bed. I can count it among one of my top ten activities, and am actually considering putting ‘ability to sleep ten hours and still feel tired’ on my CV or something. I like to leave a little selection of night creams within reach, so I can slather on something before I fall asleep and theoretically wake up with better skin. For when your skin needs nourishment… The Origins Night-A-Mins. When my skin feels particularly dry I always reach for this and everything will be a bit more supple come morning. It also smells so good, like oranges, so it’s one I always look forward to using. For when your skin needs soothing… La Roche Posay Toleriane ultra nuit. If my skin ever feels red or sore, this is the best option around. It’s really lightweight, but it instantly makes my skin feel hydrated and as if it’s calmed down within seconds. 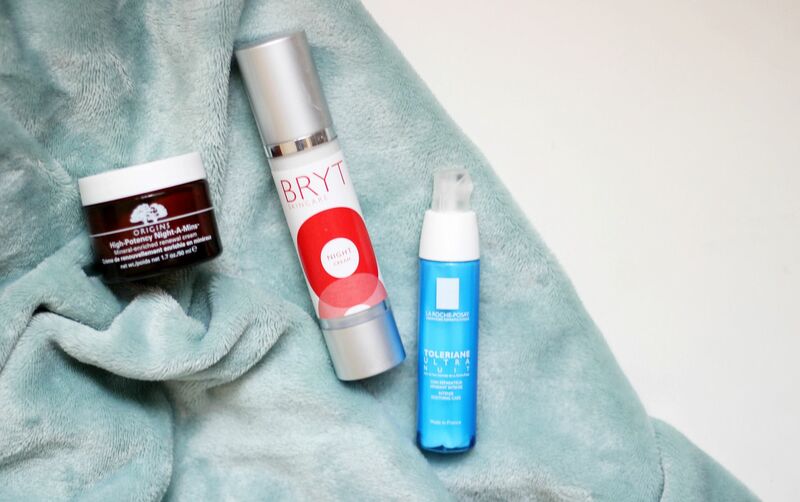 For the all-rounder… Bryt night cream is one of those products that works effectively every time. It’s one of those creams that covers all bases in terms of hydrating, soothing and providing nourishment so your skin always looks better come morning.